As you know, I am a huge fan of the messy bun, and after this collection, I am on to the top knot art form;) Its the easiest way to do and be done, add some class or sass, and be creative. Hope you all enjoy the round up! Oohh I am in love with the 4th one! how do you think they did that? I couldn't find it on the site! Great post. Great roundup! I tried the "messy" sock bun for the first time last weekend and my hair pretty much stayed that way all weekend. I loved it! These images are gorgeous, I am a firm believer in the top knot! Ooooh, I love these! Now if my hair would only hurry up and grow out faster so I can try these! I wish I could do this myself. Can you please please please come to Chicago and style my hair for me?! Oh you will, ok great! See you soon. The sock bun has been my go-to hairstyle this summer - love this look! Loving buns (haha) right now too! I just figured out the sock bun and it makes doing my hair in the morning, which is usually non washed with a newborn so easy! I love the bun in any form! I rock one almost every day. I'm going to feature some versions soon on my two blogs: Color Me Styled and Daily E (www.colormestyled.com & geturdailye.tumblr.com) and these images are great inspiration! All so perfect!!! Lovely round-up. This post makes me wish I had longer hair. I love a messy bun! We must have been thinking alike this morning because I did a bun post too. Another reason why we are friends (in my head). I love buns! They are such a great go-to hairstyle and are super functional! Love messy buns! Haven't done this hairstyle in ages. Marking this page and hoping to try it soon. Hopefully a headache doesn't follow. I am a huge fan as well!! Love these--I think it is time I start incorporating some scarfs. :) Love that! I love the third one from the top. If only my fingers weren't so stupid, I would do the world's most random things with my hair! I really wish my bun looked that good all the time! Those are amazing. I'm going to try out the new hair bun accessory from H&M, get that sock-bun look. I'm such a huge bun fan! I usually wear them messy and perched right on the top of my head. 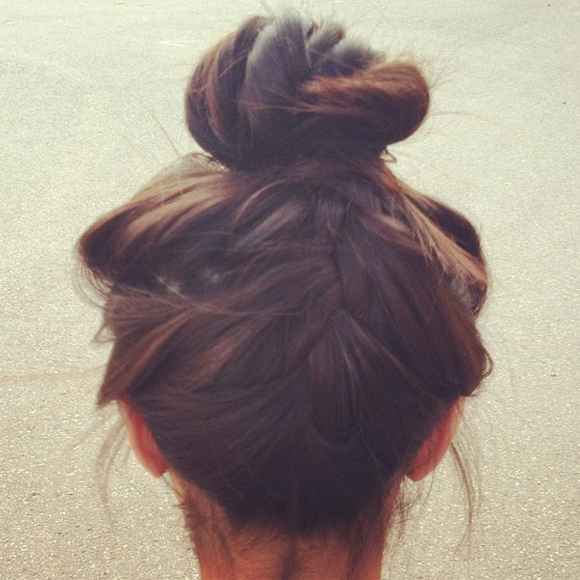 i'm loving every moment of this post because i am an avid bun-wearer (doer? i don't know what verb to use...). actually, my hair is knotted atop my head at this very moment. I am still trying to figure out how to master the bun, i love it on other girls though!! great roundup Anna! Agreed the bun is FUN! I wear a bun every day this is a great roundup of looks and tips for achieving the perfect bun! 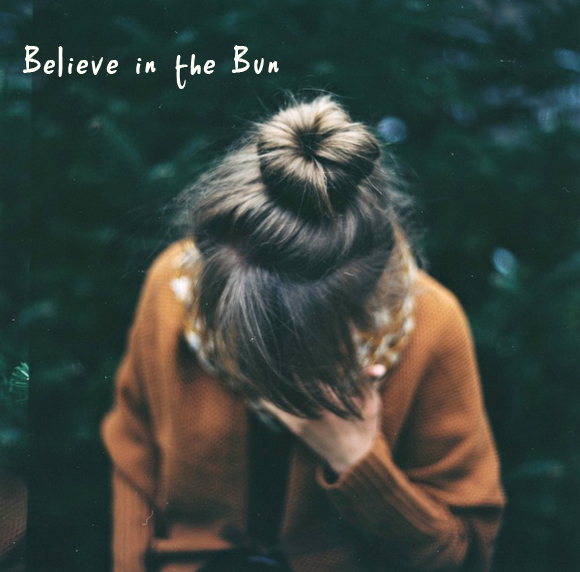 i believe in the bun!!! i sold some bun implants on my site a few months back because here in england they LOVE the "sock bun." :) yay!